By Atomix Productions America Inc. Seller: Atomix Productions America Inc.
© Atomix Productions America Inc. This would be 5 star if you could see your list and make changes there. You can add songs to a list but have no control over the list. I’m not one to say anything or review products but this absolutely works with my stuff. I’ve got a 2012 Apple Mac and an iPhone X and it still works and I mention this to those still out there looking into getting this now. I was really weary on purchasing it because of all the other reviews but I’m glad I did because I don’t have any problems with it. One suggestion would like to make a suggestion if Atomix reads this is that it could perhaps use a 3rd and 4th deck selection for to me it only shows 2 and I mix usually with 4 simultaneously. Other than that it’s good. This app is so picky and doesnt offer alot of options. Getting synced to your computer is so stressful. Went to go manually put in the IP address and the app and computer program crash at the same time. When i finally got it synced to my phone. I tested it out. MAJOR COMMUNICATION DELAY. I would do something in the phone and the conputer response would take up to a minute to do what i wanted. Also if your venue is big forget using this app. U cant go more than 3 steps away from your computer and then the app crashes and u have to start at square one with syncing the programs again. This app has major bug issues! Do not purchase until a new updated version is released. A huge waste of money! COMPLETE WASTE OF MONEY AND SHOULD BE TAKEN OFF THE APP STORE. IT’S ALMOST LIKE A SCAM! Would be awesome, but the app crashes...CONSTANTLY! Hard to run a club using this app. I have to open and close the app to refresh every time. Fix this! Please! Used to be a killer hap, had a few bugs, nothing terrible. But now I can't even load half the stuff I need too and the top and bottom half are not showing up so I can open files. Needs to be updated please. I used this app for the first time yesterday when doing a wedding and realized how much time and money it saved me. No more having to run back and forth to the computer to add songs or raise/lower volumes it gives you complete control to he out making sure everyone is having a great time. The only downfall is that it requires wifi so i had to add a router in the gear bag but very well worth it. The app only works for about 30 seconds and locks up. Doesn't work on iPad or iPhone. I would like a refund.. I bought this stupid app because I bought a Numark controller, but it wouldn't open on both my iPad and iPhone. I don't remember the last time I wrote a review for anything and you can imagine my frustration. On top of that APPLE wouldn't respond to my email and now I've been on hold for about 65 minutes and still counting. Save yourself from the heartache and buy a different app. I downloaded this (even after reading all other warnings) and was extremely disappointed. Have been trying for several weeks to connect my phone to use as a remote but keep getting errors. Have looked at ALL possible issues to no avail. DO NOT WASTE YOUR MONEY ON THIS APP!! Been waiting for the multi-touch update for ages!!!! Everything is awesome... May go to the forums to figure out all features later.... I played with a few skins... I also did too much maybe? I uploaded a skin used for the desktop.... To my surprise, it worked..... Not 100% everything but operable... However I did have to uninstall and reinstall the app to go back to the original skin.... I really didn't care about that.... I'm just grateful for this wonderful update.... I'm sure others will find some minor bugs later on but just know, this customer right here is extremely happy!!! Like the title says don't waste your money. All this allows you to do is to add sound effects, scratch, and adjust volume. Sure it lets you add songs but it puts them at the bottom of the list, you'll still need to go to your computer to put them where you want. You can't preview songs on the other decks from the pad to listen to them. I wish I had read reviews before I bought this useless app. Needs serious fix but ok when it works. It's anice app but for $10 it would be nice if it didn't crash every single time you use your phone for something else or if your phone turns itself off. It gets to be a real hassle to reset or restart the app constantly. I got it to teach dance classes so I wouldn't have to go all the way to the sound system every time I wanted to start stop or adjust the music. But now because it crashes so often I have to stand there fiddling with the app to get it restarted. At the end of the day not worth the hassle. It's faster to just walk over to the sound system. If they could fix that problem I would raise the stars to at least four. The actual virtual DJ software on my computer is a completely different story. It's probably my single most used and favorite application on my computer. 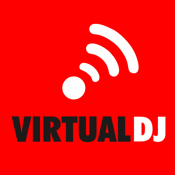 Thank's for Virtual DJ 5Star for ever. It's a total joke, not working.. Application not functioning. It downloads but does not work. No support provided and no refund given. Program works in Windows Tablet. I have a remote app that I can control my computer from and it's free.. I can maybe only change the song and volume on this horribly laid out app for 10 bucks? It needs to change a little if your going to charge $10 for it! A good way to waste 10 bucks. Never got it to work. Went online and downloaded the newest version. Still didn't work. Waste of money. 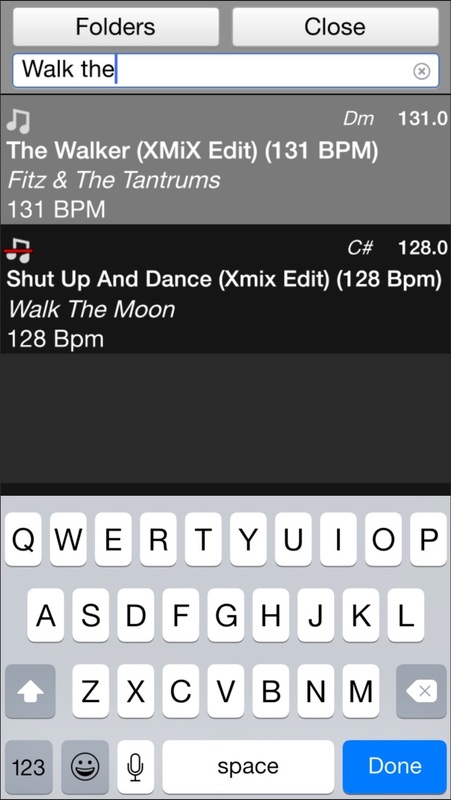 This app has never been amazing but if you would do a small update with Apple Watch features like song list or run time on songs I bet you would make a lot of DJs happy. Give them a little heads up when they are on breaks and such. Complications like song title or run time would be ideal. Will update to 5 stars if anything big changes. Doesn't work well at all is there a refund? 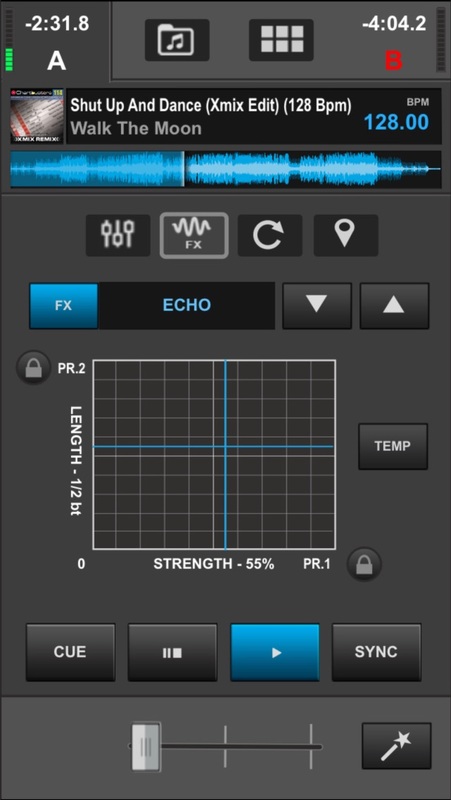 This app does what it is supposed to do well, has many glitches. if it was free it would be a better deal it's totally not worth it . As a dj who does weddings! This remote app is on point! 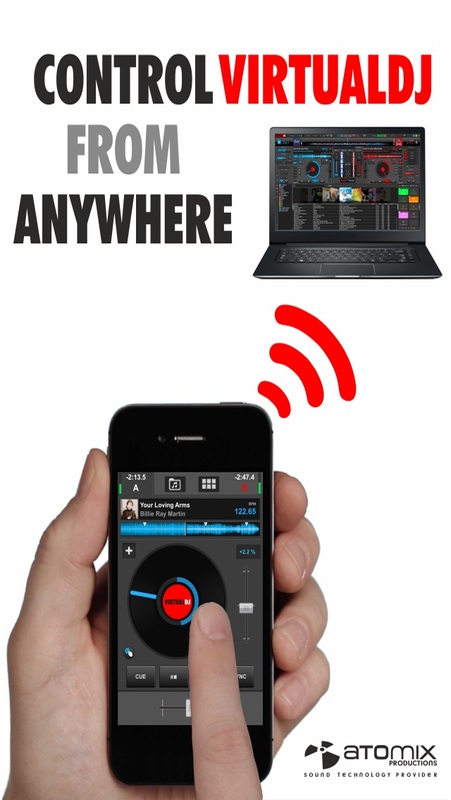 Great for any DJ who needs to be away from the booth as well! When Are You Going To Update? Refund? I really like the idea of having a remote, especially when my computer is on a mezzanine or something like that and I want to be with the crowd. I spent money on this because I thought it would be a good purchase. It constantly shut down and glitches. I would gladly take a refund or an update to the app! 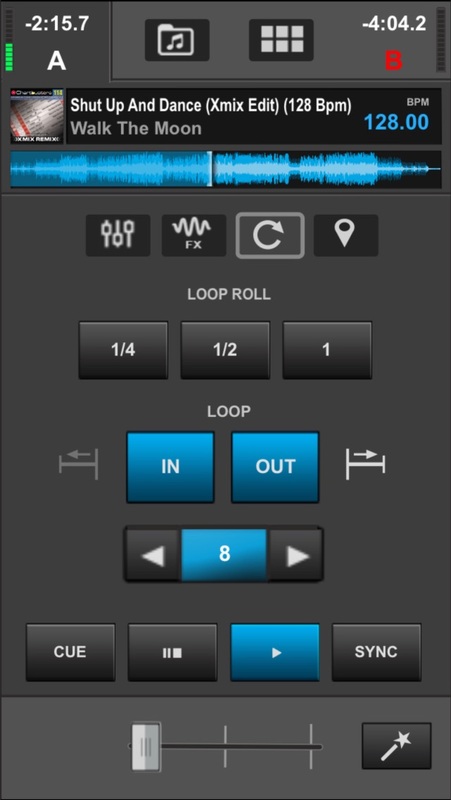 I bought this app thinking it would work with the free version on Virtual DJ, But it never did, wouldn't recommend to anyone. Contacted Apple twice for a refund and got no response...Buyer Beware!! i been waiting for 10 minutes and all i see is TRYING TO RECONNECT TO VIRTUALDJ. 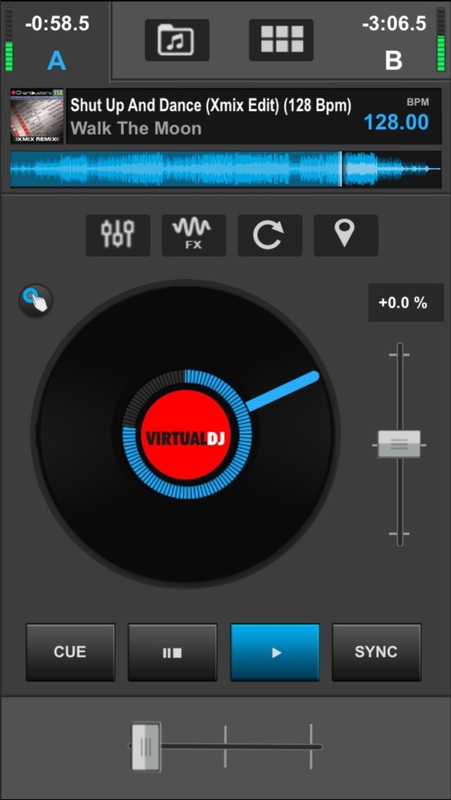 i have virtual dj in my computer and i love it, i'm expecting the same from this app or half way at list. Saludo... no logro conectar mi ipod touch (ios 6.1.6) al virtual dj. Tengo instalado y funcionando el Virtual DJ en mi PC al igual que "ïtunes" aunque no "Bonjour" ya que existe varios programas con este nombre y no sé cuál de ellos bajar. Básicamente cree una red wi-fi y logré que tanto la PC como el ipod se reconocieran en la misma red la situación es que al iniciar la aplicación de iphone/ipad del Virtual DJ y presionar "Enabled" nunca aparece ninguna opción para ser conectado. Probablemente estoy realizando algo mal en crear la red y necesito que me oriente e identifique en donde estoy cometiendo el fallo para así corregirla. Lo que hice es ir a... 01 - "ControlPanel" 02 - "Set up a new connection or network" 03 - "Set up a wireless ad hoc (computer to computer) network" 04 - Cambiar de "Wireless Network Connection" a "Wireless Network Connection3" ya que con la primera opción no logro realizar la conexión... luego presiono "Next" 05 - a. Le pongo un nombre al "Network" b. Cambiar de "Security type" a... "WEP" c. Escribo la contraseña d. Poncho o marco en "Save this network" e. Al aceptar la contraseña presiono "Next" f. Espero que me indique que está esperando por conexión y procedo a conectarla con mi ipod 06 - Una vez tengo la comunicación entre ambos equipos activo el virtual dj en mi operador y presiono "ENABLE en VirtualDJ - CONFIG - iPhone/iPad" 07 - Voy a mi ipod y presiono la aplicación de VirtualDJ (Remoto) pero nunca aparece la opción para ser conectado en mi computadora (en el Programa de VirtualDJ - CONFIG - iPhone/iPad") y en el ipod se queda en el proceso de espera de conexión hasta que desisto de esperar y detengo el proceso. No sé si tiene importancia para esta aplicación o si le ayuda en algo saber que computadora estoy utilizando para el VDJ pero he aquí la información... Laptop Windows7 Home Premium de la Hewlett-Packard Pavilion dv7. En adición poseo una Sony VAIO con Windows 8 Inter Core i5-3210M CPU 2.50GHz, 6,00 GBRAM de memoria, 64 bit. Pero en este momento estoy probando el equipo con la Hewlett-Packard. Nuevamente agradeceré identifique cual en mi error o si salté un paso o necesito bajar un programa adicional para que funcione esta aplicación. Works well, but it needs to be updated for new devices. The screen area isn't all being utilized on even an iPhone 5s. Otherwise, it is very responsive and does the job. I was told to go try it out for a gig I was playing at and it surprised me. It worked for about 5 minutes before the connection got interrupted. I have to keep going back and forth to start the next song on my computer while I kept trying to figure out why it kept disconnecting. For an app that has NO FREE TRIAL and is $10 on the app store, it STILL needs a lot of work done to it. My buddy looked into it, who builds apps like this all the time, had said the person who built this app must have not known what he/she was doing. It's a remote app that should work like a remote, yet it acts like the batteries in that remote are dead half the time. I would really like my money back for this app. I've gotten rid of the app since I first got it. No point in having a useless app take up space on a phone that was $10. Don't buy into all the 5 star ratings, since people were PAID to say that it's a great app. The app is not working. Hello dear admin and developer. I am using iPhone 6s Plus and I’ve bought this app and now since I download it am unable to open it since then I've been in a home screwed up my $9 dollar? Please kindly update the app for us running the latest version iOS/ can also use it because the app is not free as you cannot easily uninstall the app and reinstall it back again because is not a free version. Someone can't easily lost out is fund. Please kindly convey. Need update for iPhone XS Max. Please update.